An abstract piece of art for Valentine's Day using heart shaped cookie cutter prints! 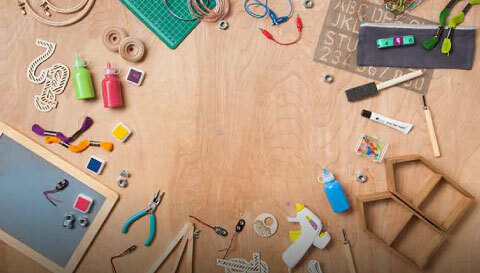 Gather your materials to have ready for your kid to create! Paper, heart shaped cookie cutters in various sizes and red or pink washable paint is all you need. Squirt some paint onto a tray or plate that's large enough to fit the cookie cutters. Spread it around a little so it can cover the largest cutter that you have. Let your child dip the cutters into the paint. Sliding it around in it helps give it fuller coverage, and a better heart print will be the result. Show younger kids how to make a print with the cutter by simply pressing it onto the paper. Moving it will cause the paint to smear and the heart won't be visible. Once they know what to do, let them have free reign of the project to really explore it! No patterns are necessary and the more crazy they get with the heart stamping, the more abstract piece of art you'll end up with. And it's gorgeous!